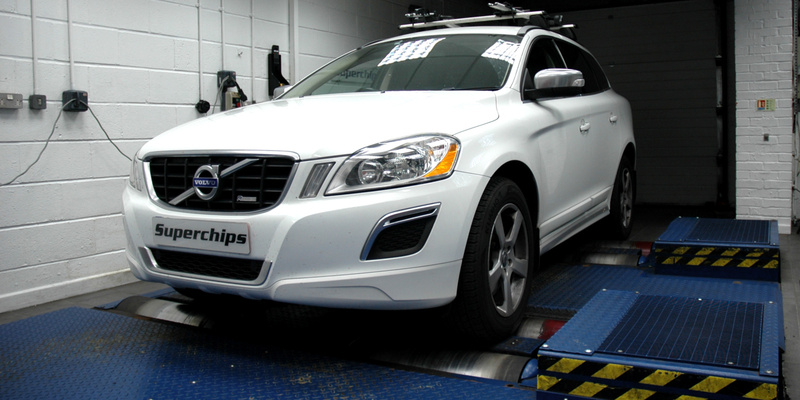 The global ECU remap leader, Superchips, has introduced two new remaps for diesel engines in the Volvo range. Both the D3 engine and the D5 can now have additional power and torque released by the company’s remaps and with it, the potential for improved fuel economy as well. The five-cylinder, two-litre D3 engine is used in several ranges, including the S60, S80, V60, V70 and the crossover SUVs, the XC60 and XC70. Using a base output of 163PS, the Superchips remap adds 23bhp at 3457rpm and a very impressive 61Nm torque at 2327rpm. The D5 engine is used in the same ranges and is the larger of the two, at 2.4-litres. Its output from the factory is 215PS and the Superchips remap for the D5 adds an even more impressive 44bhp at 4730rpm and 73Nm torque at 2286rpm. On both conversions, the additional torque improves driveability and cruising while the gains in power allow drivers to enjoy their cars more. And as a final benefit, both conversions have the potential to deliver up to 7% improvements in fuel economy, when driven in a similar fashion to pre-conversion. The conversion is carried out by one of Superchips nationwide dealer network and typically takes around an hour. Customers can either wait at the dealer or drop off their car and return later to collect. The cost of the remap for both the D3 engine and the D5 is £399 including VAT and labour. The conversion is covered by Superchips’ 12-month/30,000-mile warranty*.